The terraces are rich in quartz and marl limestone. After the historically dry and hot summer, the wines give an impression of opulence, concentration and generosity. Ageing will allow the wines to soften and slowly find their balance. After the harvest is sorted and destemmed, vinification takes place in stainless steel and oak. Ageing partly in wood fermenters and partly in stainless steel vats for 8 months. Pretty deep colour. 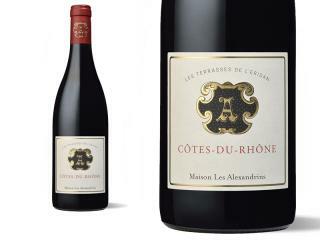 The nose offers a beautiful aromatic complexity, marked by Grenache and a hint of blackcurrant brought by the ripe Syrah. On the palate, it shows complexity with tannins still present, but with finesse and elegance, and a beautiful freshness.